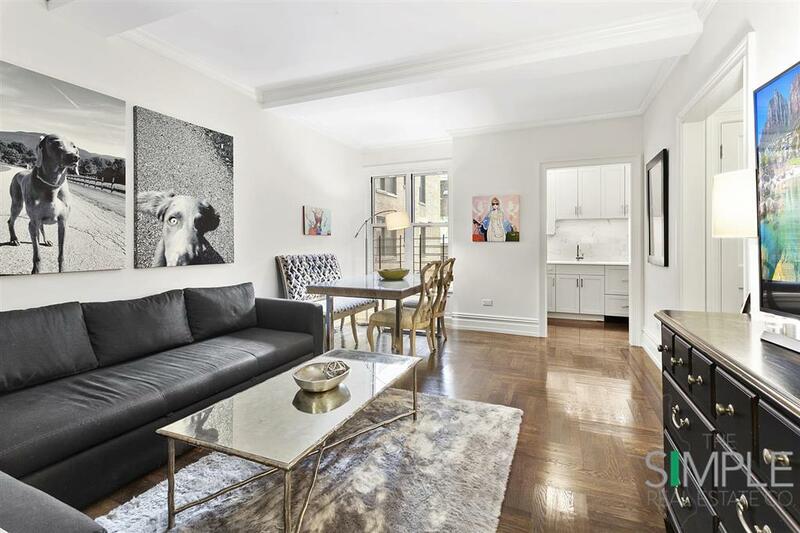 165 West 91st Street Upper West Side New York NY 10024 - THE SIMPLE REAL ESTATE CO. 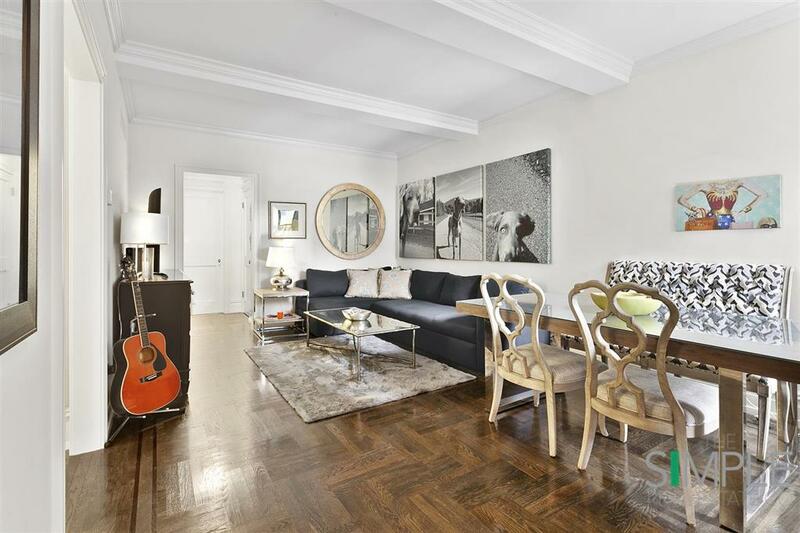 This chic, one bedroom home combines prewar details with modern amenities including a washer/dryer and central A/C. 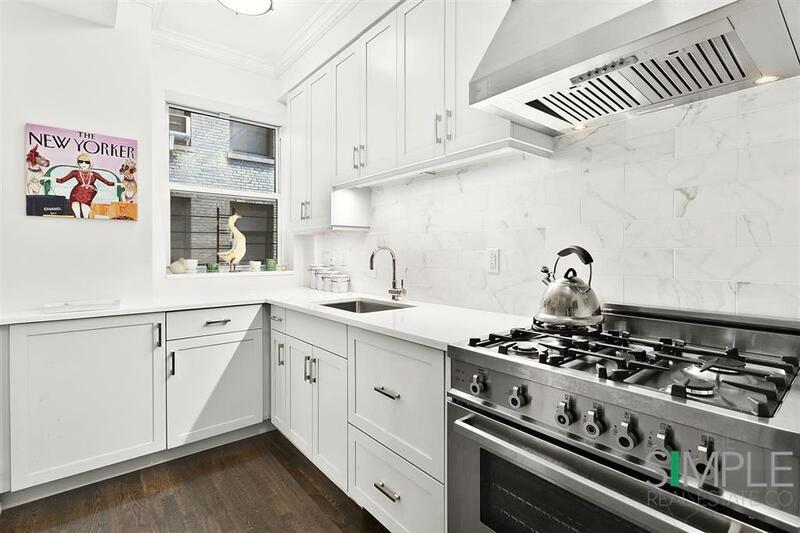 The custom cabinetry, stunning white glass countertops and marble backsplash with Miele, Bertazonni, Fischer Paykal, and Bosch appliances give the kitchen a refined pop of luxury. The generous master bedroom is outfitted with custom closets and electric shades. 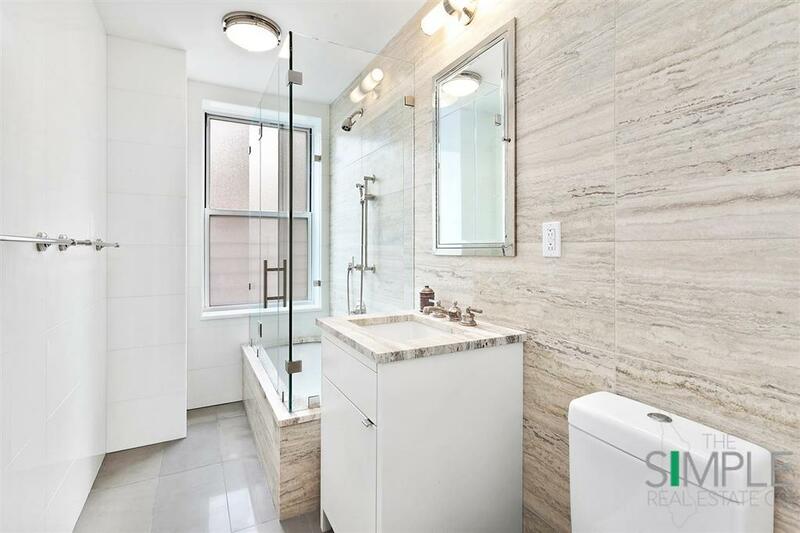 The windowed bathroom elegantly combines stone and glass with a custom vanity and polished nickel fixtures. The high, beamed ceiling and gorgeous solid oak basket weave floors bring this elegant home to the next level. 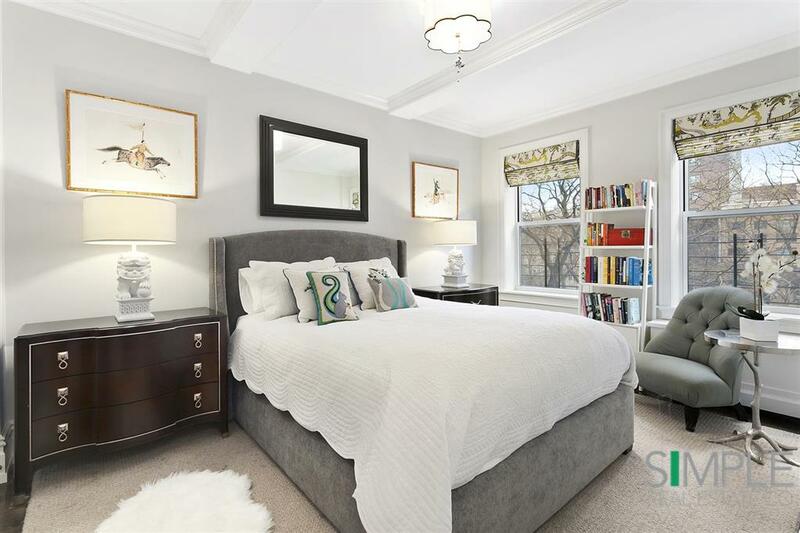 A prewar, one bedroom condo of this caliber rarely hits the market and is a must see. 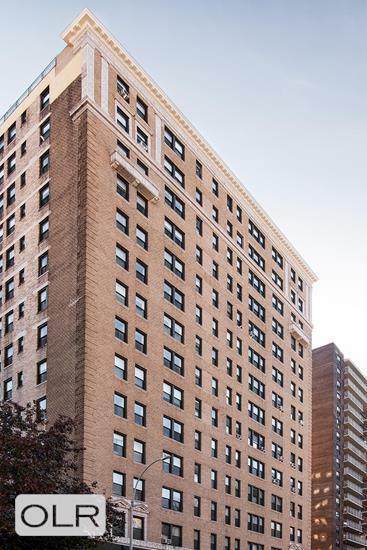 165 West 91st Street is a full-service condominium with 24-hour doormen and live-in resident manager featuring a magnificent marble lobby. The building's amenities include a landscaped roof deck, fitness room, playroom, and bicycle room. 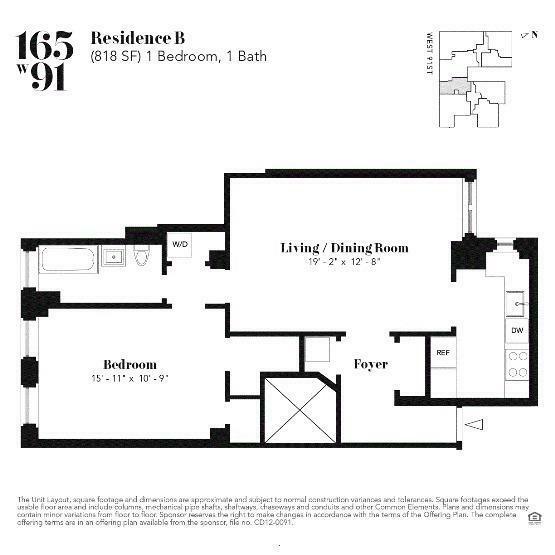 The Mirabeau is located between Columbus Avenue and Amsterdam Avenues and is a short distance to Central Park, Riverside Park, Whole Foods, Trader Joes, Equinox and the1/2/3/B/C trains as well as cross town bus.